Exclusive! 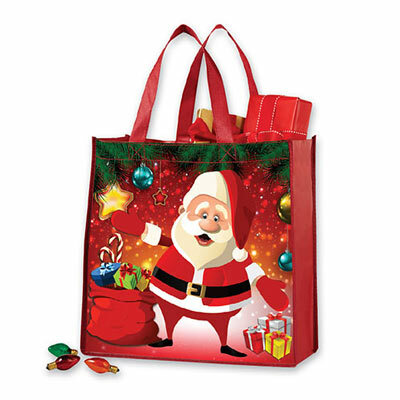 Ho-ho-haul around your items this holiday season with this sturdy tote! A fun Santa image adorns the outside. Non-woven polyester coated for easy cleaning. Imported. 14"w, 12"l handles.